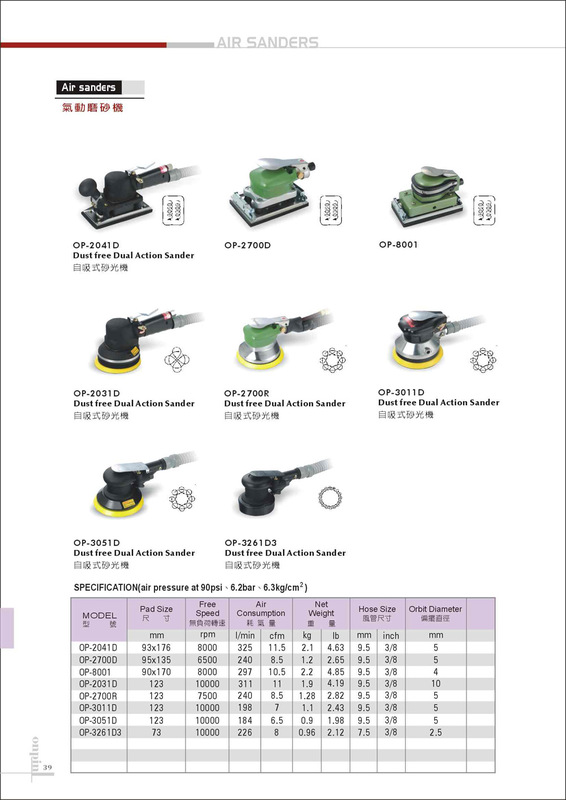 Air Sander Tools - Hong Bing Pneumatic Industry Co., Ltd. The Air Sander is provided by Hong Bing. With many years of experience in the specific industry, We believe that we can manufacture and supply best products beyond your expectation to pneumatic hand tools. It is a tool used to smooth wood and automotive or wood finishes by abrasion with sandpaper. There are many different types of air sander for different purposes. Usually the device for wood working is driven by electric for higher output and the product for automotive usually takes the compressed air as its power source. Maybe it is able to get easily, but you should pay attention; your work quality might be affected by the air sander you choose. Therefore, you must choose the right one to ensure high working quality. Providing the product for years, Hong Bing has good reputation in this field. You can save you time to search the reliable supplier; just contact Hong Bing, and you will get the best one for you right away.